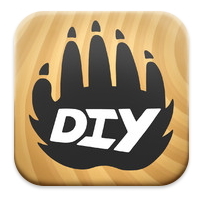 Formally, DIY.org is a website and app created by Vimeo co-founder Zach Klein. The idea behind it comes from that fact that kids love to share their artwork. They share it with their parents, siblings, friends, neighbors and anybody willing to tell them how great it is. Sometimes they won’t shut up about it. 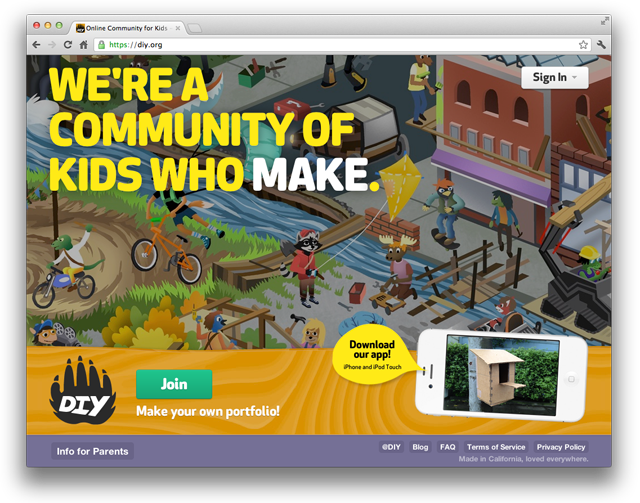 The DIY.org approach comes down to “Don’t hang the art on the fridge, post it on the Web.” The site and app is intended for kids ages six and older. Forget Mom posting it on Facebook. This is a chance for your child to create their own profile, in a safe, parent-controlled environment. Kids are asked to use animals for their avatars to protect their identity. Parents get private access to the account to make sure the kids are only sharing appropriate material. Still concerned about your kids being online? DIY helps minimize the fear on the FAQ section of their website. Heck, your child can’t even get their account started without a ‘permission slip’ from a parent. So instead of sending photo after photo of your child’s artwork via email, your child simply loads them to their profile to share with your family. It’s free to use, but in the future they plan to offer paid memberships with added perks. I downloaded the app to my iPhone and it took me less than five minutes to create an account for my daughter and post a picture of something she did. To use her words, “Isn’t it pretty?” In addition, as soon as I posted it I received an email saying the account had posted a new photo. Safe to say, after spending 15 minutes on this site, I would be comfortable with my daughter posting more of her artwork on the site. Whether DIY can convince other parents is TBD. Don’t just take my word for it — other parents have given it a test ride here and here. They join an incredibly crowded field of apps designed for children. I will be curious to see if they can cut through the clutter and convince parents their kids can use it, with little supervision. This entry was posted in Dads Writing About Kindie Culture, Tech and tagged DIY.org on May 18, 2012 by Dan Walsh.